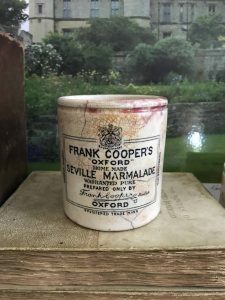 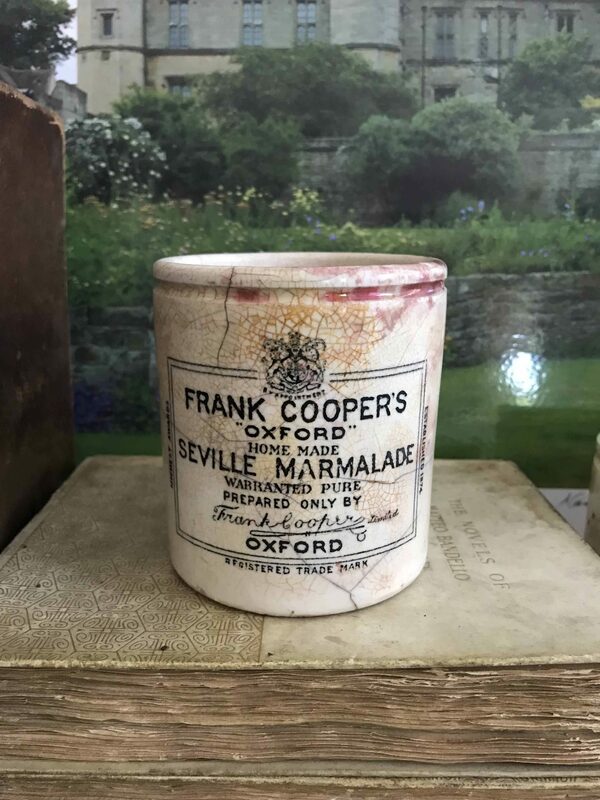 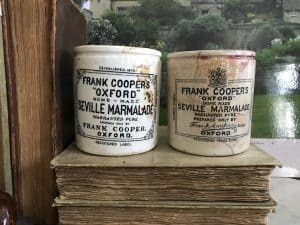 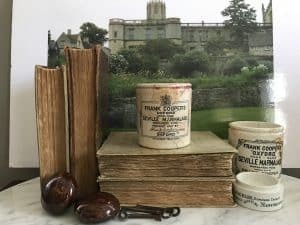 This is a listing for one (1) Frank Cooper Marmalade Pot 1# Chubby. 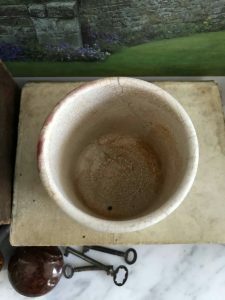 This pot is in good condition with no chips. 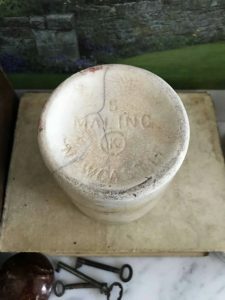 It does have some hairline cracks throughout along with some discoloration and overall crazing.